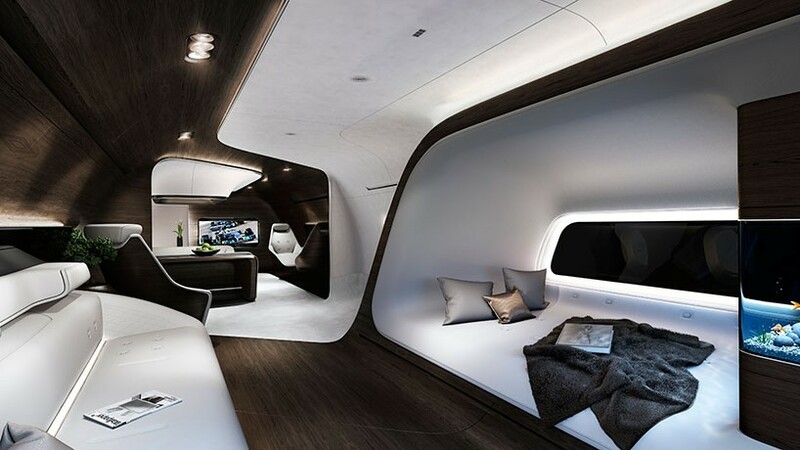 Mercedes-Benz style and Lufthansa collaborate to present at 2015 EBACE ( European Business Aviation Convention and Exhibition), a concept that escapes from familiar plane interiors and embraces an entirely different design approach for short and medium haul aircrafts. The floor, wall and ceiling flow into each other while the furniture merges seamlessly with the cabin interior. “It was an inspiring challenge to transfer our design philosophy of sensual purity into the area of aeronautical engineering. The spectacular architecture of the interior shows creativity and modernity. Sensual surfaces and clear forms, combined with intelligent high-tech features and perfectly shaped modern luxury are the characteristic features of Mercedes-Benz design,” explains Gorden Wagener, Vice President Design Daimler. 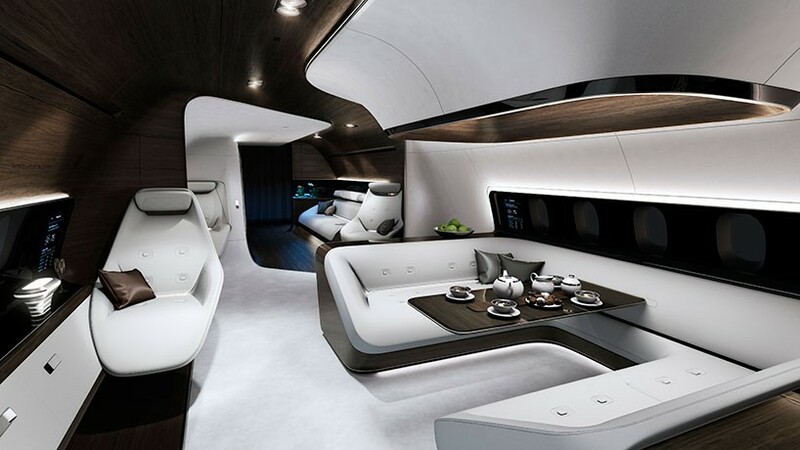 The aircraft windows are concealed by black panels, copied from the Mercedes-Benz S-class screens. Using “Magic Sky” technology, the panels can be dimmed electronically from black to transparent and incorporate displays and touch screens for entertainment and information. “The purpose of our cooperation with Mercedes-Benz style is to unite the two companies’ innovative expertise in the areas of design and technology. Our goal is to offer a highly discerning global clientele a standard of interior design that leaves nothing to be desired. 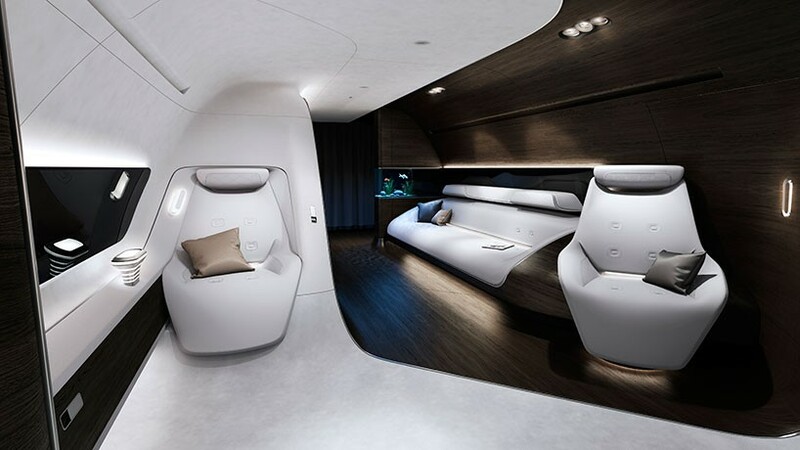 whether for private or business use, our modular completion concept perfectly fits every purpose,” says Walter Heerdt, Senior Vice President VIP and Executive Jet Solutions, Lufthansa. In the upcoming months, the two German companies will assess the level of customer interest in the market, in addition to further develop details of the concept.